Luther never revealed any details about his love life; he never married or had children. 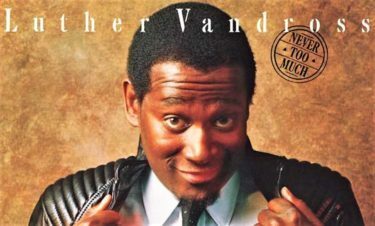 In the African American community when the name “Luther” is uttered, everyone knows who we’re referring to, the great avatar of romance, Luther Vandross. As I gathered my thoughts to write this feature on him, I immediately recalled being introduced to his album during my college years. The year was 1981; I was at a Newport News, VA. round-the-way beauty shop when I first heard, Never Too Much which was Luther’s first self-titled work. The masterpiece included his timeless remake of the Dionne Warwick classic, A House is Not a Home, a beautiful and heartfelt rendition that made me fall in love with him. 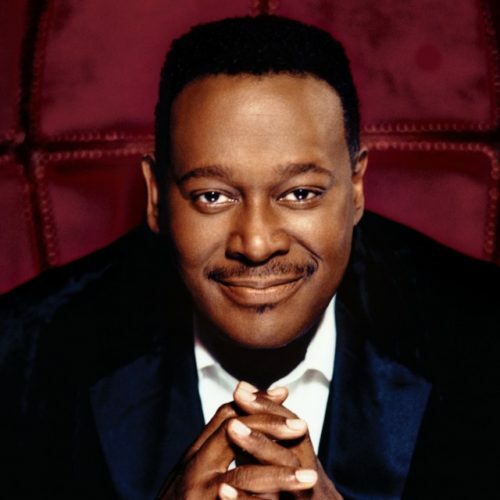 Luther Ronzoni Vandross Jr. was born in the Kips Bay section of Manhattan on April 20, 1951; he was the youngest of four children born to Mary Ida, a nurse, and Luther, Sr., a singer and upholsterer. 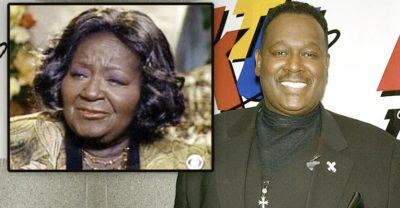 After Luther, Sr. passed away from diabetes complications, the Vandross family moved to the Bronx; Luther was 8-years-old at the time. It was apparent Luther was a child prodigy of sorts because he taught himself how to play the piano at only age 3. As a teen, Luther’s sisters introduced him to entertainment venues like Harlem’s Apollo Theater where he quickly became enamored with singing and performing. He actually appeared three times at the theater’s legendary “Amateur Night” competition and lost three times. During the 1970’s, Luther was a backup singer for various artists such as Roberta Flack & Donny Hathaway, Chaka Khan, Bette Midler, Diana Ross, Barbra Streisand, and Donna Summer. He also tried his hand at producing, and writing songs. Luther gained some measure of success singing commercial jingles for companies like Mountain Dew, KFC, Burger King, and Juicy Fruit. In 1978, he was a vocalist on the critically acclaimed Quincy Jones album, Sounds… and Stuff Like That, along with such mega talents as Chaka Khan, Patti Austin and Valerie Simpson. The 80’s were Luther’s breakthrough era as a performer. He became the lead singer of the group “Change” and it was on their first album that The Glow of Love and Searching became dance hits on the pop charts. After a contract dispute with the group’s European financier could not be settled, Luther decided not to proceed with a second album for the group. He immediately signed with Epic Records in 1981 under Clive Davis, who also had Mariah Carey, and Whitney Houston on the label. The same year Luther signed with the hot recording label, he produced his first solo album, the now classic Never too Much. After Luther’s wildly successful debut album reached number one on the R&B charts his career catapulted. He began to produce as well as write for other artists. Luther produced the comeback album for Aretha Franklin, Jump to It, that put “the Queen of Soul” right back on top of the charts. He also worked with his idol, Dionne Warwick, both writing and producing her 4th album on Arista. 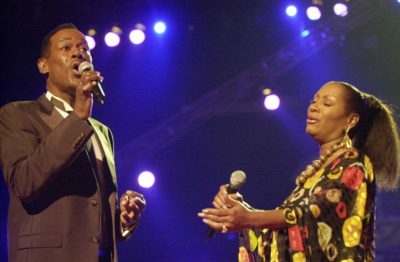 Luther’s dreamy duet If this World Were Mine with songstress Cheryl Lynn is an example of perfectly matched vocals singing an unabashedly romantic song. 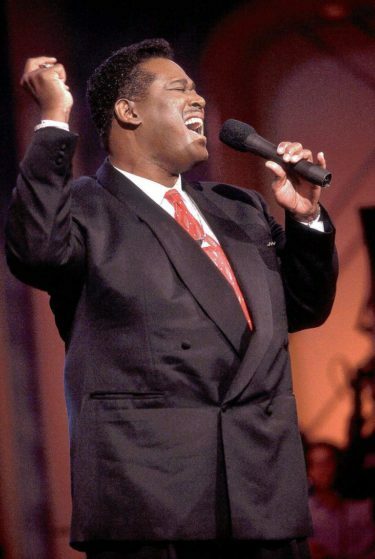 I will never forget Luther’s televised performance at the 1986 NAACP’s Image Awards where he sang A House Is Not a Home in front of a star-studded audience. Seated in the audience was his idol, Dionne Warwick, and at the end of his beautiful and stirring performance, she is seen wiping away tears. The year 1986 also brought tragedy into Luther’s life. He was in Los Angeles driving a late model Mercedes when his vehicle swerved out of control killing his friend, 27-year-old Lawrence Salvemini, a passenger in his car, and injuring four others. The vehicle was involved in a three-car crash. Luther, who also sustained injuries, was hospitalized. Police determined that Luther’s speed was excessive and recommended that he be charged with felony manslaughter. Vandross, who pleaded no contest to a charge of reckless driving, was placed on probation. Luther’s albums continued to be marvels of consistency, his soul-stirring vocals, staples, at African-American family gatherings. Luther’s last album, Dance with My Father was dedicated to his late father, and it is to date, one of the most requested father-daughter dance songs at weddings. In private, however, Luther never revealed any details about his love life; he never married or had children. Over the years, it was widely speculated that Luther was gay, but he refused to acknowledge the rumors. Luther’s close friend and confidant singer, Patti Labelle, publicly outed him as “gay” on the Bravo hit TV show, Watch What Happens Live with host Andy Cohen. She explained that while Luther was alive, he did not want to have his mother be ashamed of him had he chosen to reveal his sexual preference to the world. Luther’s mother was a “church woman” where homophobia runs rampant particularly in the Black community. In 2001, I attended one of Luther’s concerts in Michigan at the Pine Knob Music Theater in Clarkston, Michigan and could not believe my eyes when he walked across the stage. Girth didn’t appear to be a liability for Luther. So as he walked onto the stage, gone was the robust Luther of yesteryear; a slimmed-down Luther had replaced him (although we referred to him as “Skinny Luther”). There were also those out-of-nowhere whispers about Luther having AIDS that accounted for the drastic weight loss. Throughout most of his life, Luther battled obesity, and was diagnosed with diabetes and hypertension. Even though Luther had dieted down to a 34 waist, a few times throughout his later years, his voice had not been affected one bit. I will never forget the chills I felt as this bedroom balladeer’s vocal undulations literally vibrated the eaves of the concert venue. On April 16, 2003 Luther suffered a massive stroke at his home where he remained in a coma for nearly two months. The following year, while still recovering from the stroke, he won four 2004 Grammy Awards. Via videotape, Luther appeared sitting in a wheelchair and looking quite frail to accept the covetous awards. 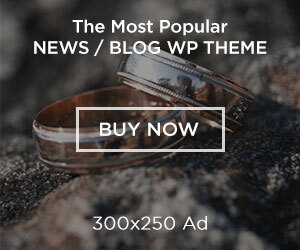 The audience appeared stunned. On July 1, 2005, the eight-time Grammy Award winning artist passed away from stroke-related complications. He was 54-years-young. Folks from all around the world mourned the loss of the deep silky voice that had anchored so many romantic hits and sold more than 35 million records in the United States alone. 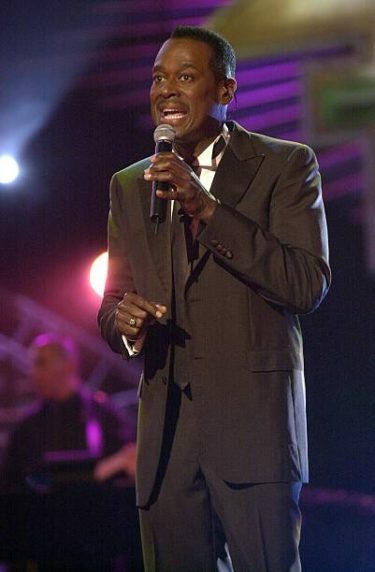 I will forever love Luther Vandross, the man whose voice caressed my soul, and made me weak in the knees. He had a voice that was timeless and his legacy, thankfully, lives on for new generations to enjoy. Whenever I need some down time, pop in one of Luther’s CD’s, his songs speak to me in a way nothing else can.